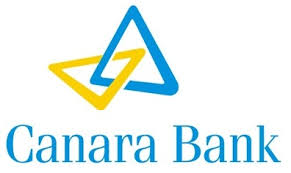 Canara Bank Ltd on Monday reported a March quarter net profit of Rs.214.18 crore, against a Rs3905.49 crore loss recorded a year ago when it made heavy provisions for bad loans. Net interest income, the difference between interest earned on loans and that paid on deposits, rose 14.08% from a year ago to Rs2708.22 crore. Other income rose 73.23% to Rs2396.28 crore at the end of the quarter, compared with Rs.1383.23 crore a year ago. Provisions during the quarter were Rs2708.74 crore, against Rs6331.54 crore a year ago and Rs1484.57 crore in the preceding quarter. Gross non-performing assets (NPAs) as a ratio of gross advances were at 9.63%, against 9.97% as of 31 December. Net NPA ratio at the end of the fourth quarter was 6.33%, slightly down from 6.72% in the third quarter. Capital adequacy ratio on 31 March stood at 12.86% against 11.08% a year ago.